This Seismic Monitor allows you to monitor global earthquakes in near real-time, visit seismic stations around the world, and search the web for earthquake or region-related links. You can also view seismograms and make dataset requests via its WILBER interface. 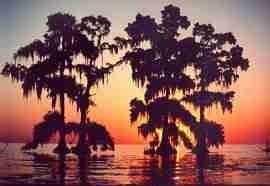 Encroaching salt water, a symptom of wetland erosion, threatens these Louisiana Cypress trees. Archeologists and engineers will soon be using NASA satellite data to restore endangered wetlands without accidentally destroying Native American cultural sites. Now the temple mound is gone, washed away along with much of the wetlands of the Louisiana coast. An epidemic of erosion, rising sea-levels, and slowly sinking land has been eating away at these wetlands at the rapid pace of 25 to 35 square miles each year (65 to 91 square km). With the wetlands goes the homeland of Comardelle's Cajun culture, as well as the buried relics of the Native American cultures that came before it. Human Alteration of the flow of the Mississippi is the primary culprit. Flood-control levees along its banks prevent the river from spilling out into the surrounding wetlands. Sediment from the river would normally build up the wetlands and help counter erosional processes. Levees, however, block the influx of sediment and erosion goes unchecked. 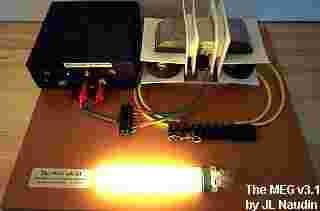 which is likely to become the first commercially available free energy device in history in about one year from now. which should be a very long life since it has no moving parts. Astronomers around the world have continued to track this interesting body and provide measurements of its position. Scientists Uncover Gecko Stickiness The mystery of what makes geckos stick to just about anything — a question that has puzzled scientific minds since Aristotle — finally has been solved, according to a new study. AURORA WARNING: Twisted magnetic fields near giant sunspot 69 erupted on Friday, Aug. 16th. 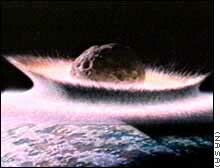 The explosion sparked an M5-class solar flare and hurled a coronal mass ejection toward Earth. NOAA forecasters estimate a 25-30% chance of severe geomagnetic storms when the cloud arrives--probably on Sunday, Aug. 18th. Sky watchers should be alert for auroras. HEART-SHAPED SUNSPOT: Sunspot 69 is still big--many times larger than Earth itself. On Friday it also looked remarkably like a heart. You can see for yourself, but never look directly at the Sun. Use safe solar projection techniques described at spaceweather.com. Beginning this Sunday evening, August 11th, lots of meteors will appear over Earth's northern hemisphere when our planet plows through a dense swarm of dust shed by periodic comet Swift-Tuttle. The disintegrating specks will unleash a beautiful meteor shower called the Perseids, which peaks on August 12th and 13th. What physicists at Caltech, Aarhus University in Denmark and the University of Wales have accomplished is to take something—a beam of light, in this case—and create a replica some distance away. found a planetary system that reminds them of our own home solar system. On June 10, 2002, something extraordinary will happen to the setting Sun over North America. On Monday, June 10th, the Moon will glide in front of the Sun as it sets over parts of North America. 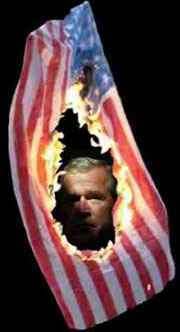 Terrorism: Bush knew of 911 attacks: Learn the TRUTH! The American People Speak Out! Many Israeli nationals who worked at the World Trade Center we told not to go to work on 9-11! Many brokers heavely sold stock on the afternoon before the attack! Many, Many More incidents tell the horrendous tale of betrayal, and How the Bush administration turned its eyes from the TRUTH!!....WHY!!! ???? What is really going on in this WAR for OIL! ?? In the most suspenseful detective stories, the mystery deepens even as the plot reveals more clues. So has it been in real life for astrophysicists investigating the center of our Milky Way galaxy. They hoped that NASA's Chandra X-ray Observatory would reveal a long-suspected black hole there -- and indeed it did. But Chandra's revelations have raised new questions that baffle scientists perhaps even more than before. Michael Moore'sStupid White Men Book is # 1 on Best seller list! Cosmic X-rays reveal evidence for another new form of matter! NASA's Chandra X-ray Observatory has found two stars – one too small, one too cold — that reveal cracks in our understanding of the structure of matter. These discoveries open a new window on nuclear physics, offering a link between the vast cosmos and its tiniest constituents. A New Form of Matter Scientists have created a new kind of matter: It comes in waves and bridges the gap between the everyday world of humans and the micro-domain of quantum physics. A gigantic floating ice shelf has shattered explosively off the coast of Antarctica, casting a plume of thousands of icebergs adrift across the continent's Weddell Sea, polar scientists announced yesterday. Big enough to blanket all of San Francisco Bay plus most of the Delta, the shelf's breakup was caused by unusually high temperatures during the Antarctic summer, scientists said. The 12,000-year-old mass -- more than 650 feet thick and covering at least 1,250 square miles -- broke apart in just 35 days. Ice Continent on the Move For the first time, radar satellites have mapped Antarctica, revealing a continent whose frozen cloak is in constant (and surprising) motion. A full Lunation takes about 29.5 days, just under a month (moon-th). February 20 Tonight at 8:02pm we will have a Triple Palidrom date. We watched Saturn through a telescope as it passed by the moon. It looked just like the picture below. Fantastic!!. Wednesday, Feb. 20th, the Moon glides in front of the ringed planet -- an event astronomers call a "lunar occultation." The Ocean's Top 10 Coral ReefHotspots Identified For First Time. Evidence is mounting that some solar cycles are doubled-peaked. The ongoing solar maximum may itself be a double -- and the second peak has arrived. An asteroid that could pulverize a country zipped close by the Earth on Monday, only weeks after astronomers first noticed the big space boulder heading in our direction.